Founded by music maker Daniel Margasa, Sixx Gun Music is a multi-purpose music company that serves the needs of musicians, A-Z. 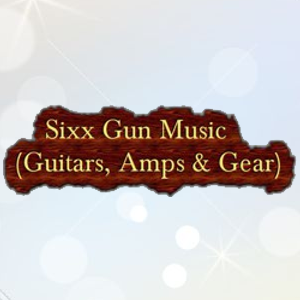 From the initial selection of fine instruments, to putting the finishing touches on another hit single, Sixx Gun Music is an all-inclusive music resource for musicians, at every level. Sixx Gun Music was originally started, and located on a remote island in Maine, affectionately dubbed “The House ‘O Music,” headquarters for Daniel’s growing company is a 7-level, multi-purpose factory, sound studio, and artist hang-out. Also known as “La Villa,” Daniel’s island empire runs 24/7 and fosters a smooth blend of inspired creativity and efficient production. Sixx Gun Music has recently grown, and spread to Massachusetts, and now has a brick and mortar location on Route 1 in Saugus, Massachusetts, where the business continues to strive and grow.